Target stores across the country are revamping their action figure aisle with new 2014 brands. 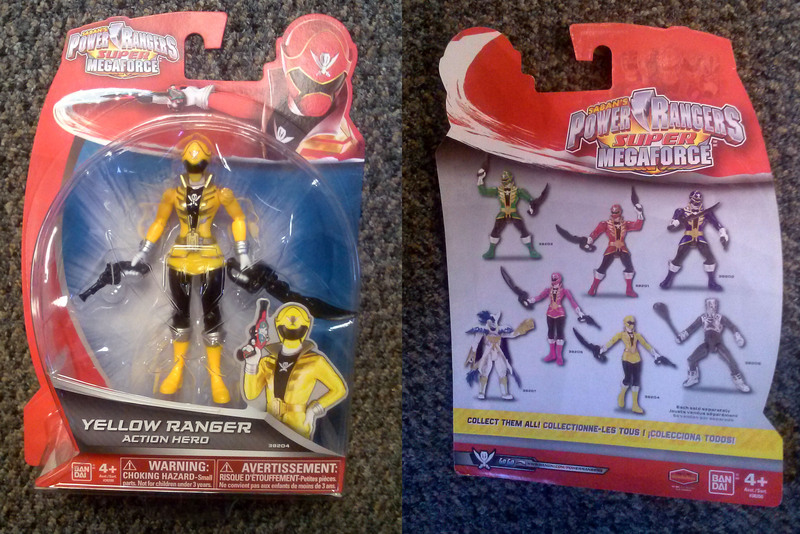 Among them are the NEW Power Rangers Super Megaforce toys. I was lucky enough to be at my local location this morning as these new 5 inch figures arrived. 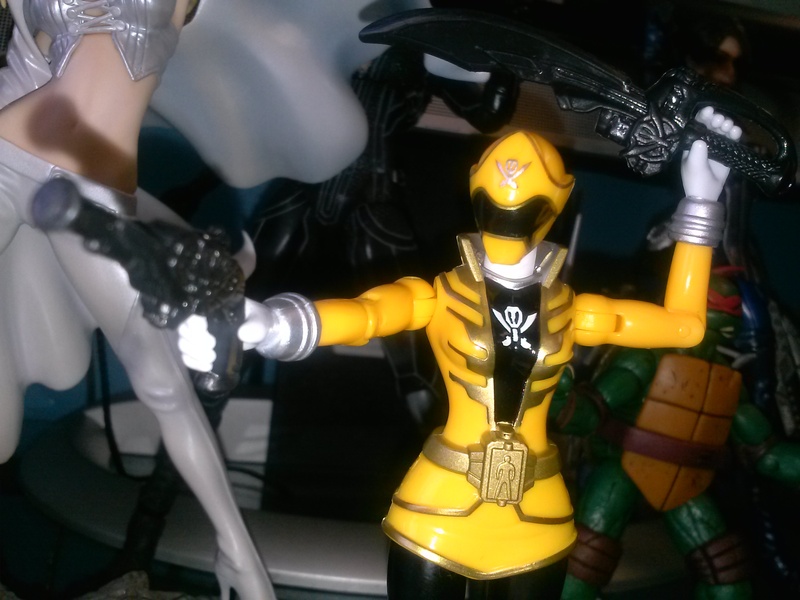 I’m a big yellow ranger fan so I decided to just get her. Packing is nothing stellar in its design. No bio or even names of the characters on the back of the card, I find that kinda disappointing. I find it funny its says ‘Action Hero’ on the front. 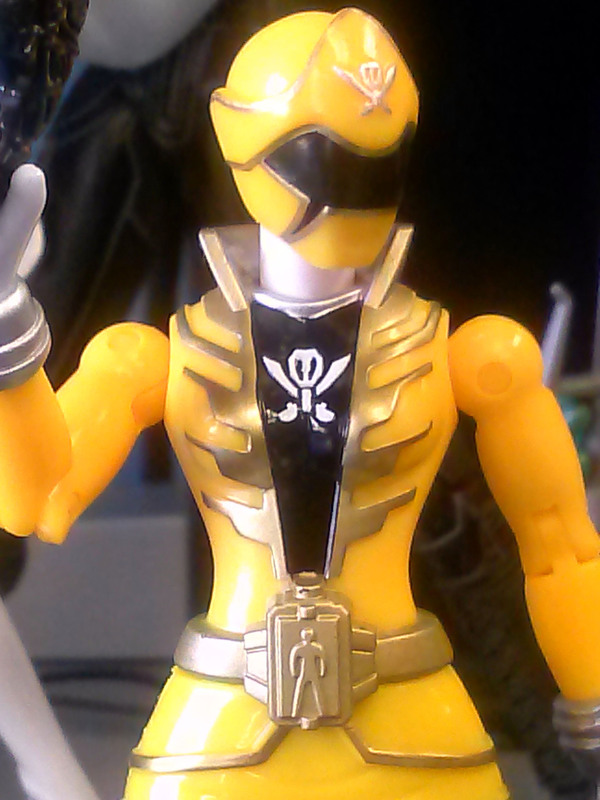 The figure itself is pretty descent. She has a nice female physique. The hands and feet seem oversized though. The paint app work is very good. Good uses of gold and silver are cleanly applied. 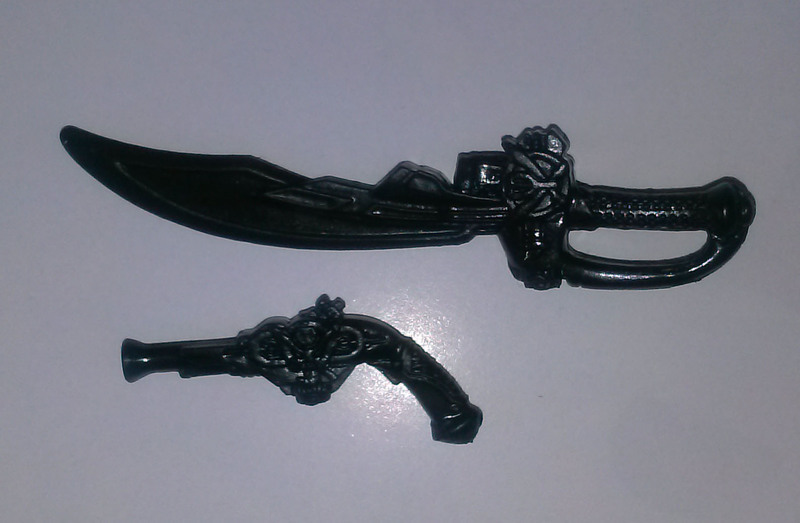 The weapons are nicely sculpted but basic black in color. Kinda expected that. 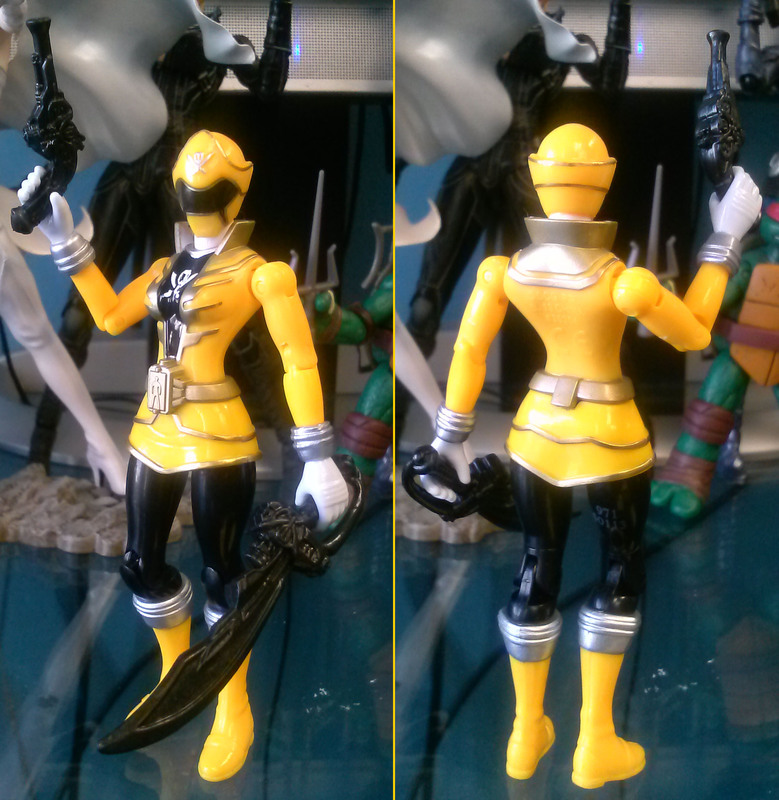 Priced at $7.99 at Target, these a pretty nice if your a fan of Super Megaforce or Gokaiger.